You love to get pampered in the spa or salon so surprise someone with manicure supplies chocolate treats and a day trip for two to your favorite destination. 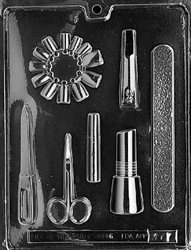 Kit contains a nail file, nail trimmer, scissors, cuticle pusher, polish and false nail set. 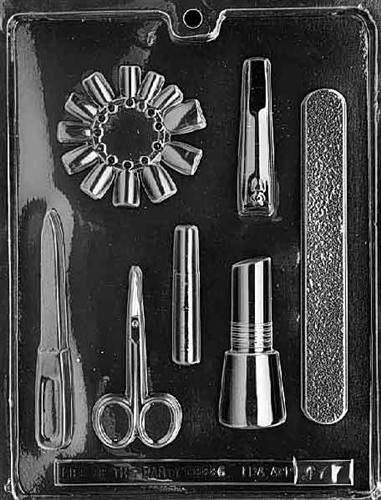 Use our Manicure Kit Mold to make sweet treats to give thanks for a job well done. Use our Gift Box for Manicure Kit for a perfect way to display your colorful surprises. Everything was great. And very fast shipping.